Not many children are like their parents... my 6 girls remind me of that all the time! Traces usually pass not from parent to child instead they sort of jump over generation. I mean very often people end up being similar to their grand parents. That's part of her hat. I don't know AJ, honesty and loyalty are two sides of the same coin. Made a new element just for her. "and rolled down the hill"
I'm loving this, but somethings still bothering me..... Oh yeah, why does she have a halo? 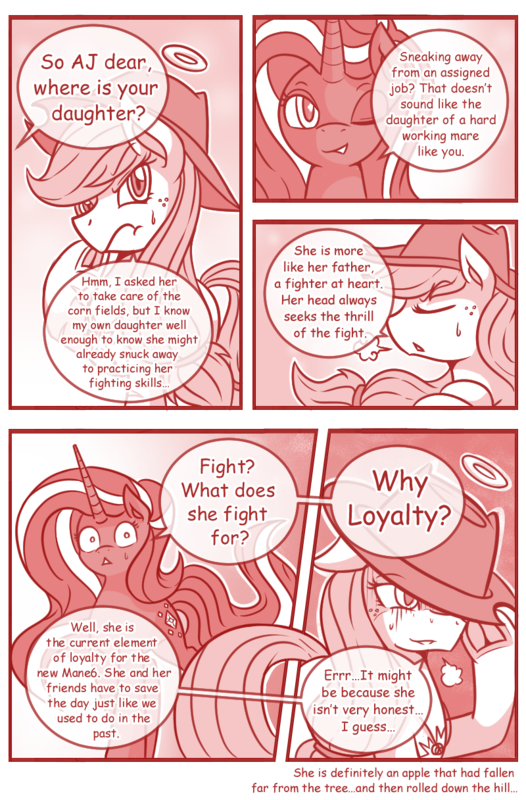 wait how are the new element we know element of loyalty but what about the other 5. twilight son could be magic?? ?